Green turtles and hawksbill turtles that make their landing on Pulau Mabul near here are touted to be the new tourism icons to help drive the tourism industry of Sabah. Taking advantage of the attractiveness of turtles, relevant authorities have decided to celebrate the World Turtle Day and make it an annual event on the island. The authorities, comprising the Sabah Ministry of Tourism, Culture and Environment and the Sabah Tourism Board, will work closely with Sabah Parks, the Department of Wildlife, Universiti Malaysia Sabah (UMS) and Uncle Chang's Sipadan Mabul Dive Lodge on the island to achieve the tourism goal. Census will be carried out by relevant bodies to understand the population of turtles in the waters around Pulau Mabul. The authorities will catch the turtles, tag them and release them into the water. This way, research will be carried out and the level of awareness among the public on the need to conserve sea turtles will be raised. Pulau Mabul is one of the world's most popular spots for scuba diving. The island of Pulau Mabul, which is a 45-minute boat ride from the town of Semporna, offers five world class diving sites, including Pulau Sipadan, which is also nearby. 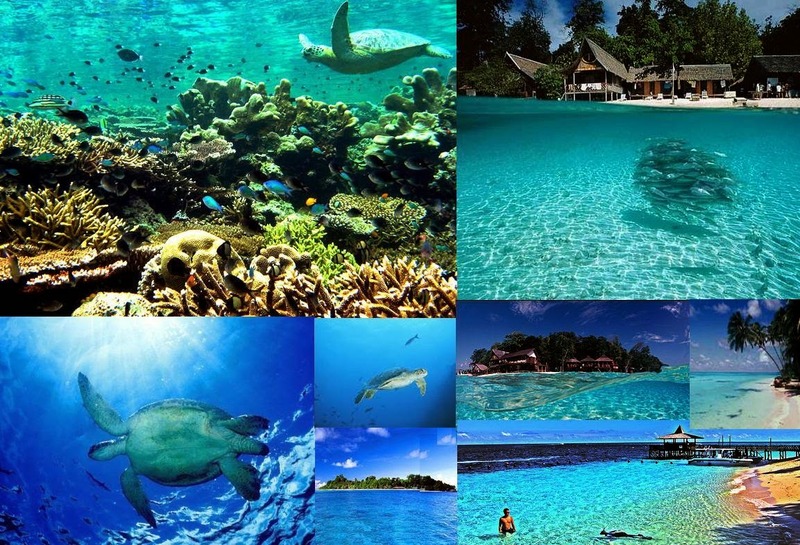 Various efforts are already being undertaken to establish Pulau Mabul as a leading tourist destination in the world. Senior Lecturer at the Borneo Marine Research Institute of Universiti Malaysia Sabah, Dr P. Pushpa, said although the potential for turtles to become a major tourist attraction is high, especially among nature lovers and for those who are fascinated by marine life, there is a need to enhance the current conservation programmes and provide care for the turtles to prevent them from becoming extinct. "Through the conservation efforts undertaken by Sabah Parks since 1960s, it has been found that the number of turtles that landed on the island in 2011 was the highest in record," said Pushpa, who has been doing her research on the reptile since 2010. She said the environment of Pulau Mabul has become increasingly conducive for the growth of the turtle population on the island amid a shift in the mentality of the people, their level of understanding and increased care for the continued existence of marine life. According to her research, more than 700 green turtles and hawksbill turtles have been tagged on Pulau Mabul and Pulau Sipadan, which are the nesting grounds for the endangered species of turtles. "As of May, 150 turtles have been tagged on Pulau Mabul and 535 on Pulau Sipadan, with their ages estimated at between eight and 20 years. "During a pre-celebration event held in conjunction with the World Turtle Day in March, a total of 18 turtles comprising both the green and hawksbill species were tagged," she added. Based on her research, Puspha said Pulau Mabul and Pulau Sipadan were found to provide a suitable living environment for the turtles due to the vastness of the sea shores that could accommodate their large populations at any given time. Apart from the uniqueness of the turtle species on the island, another interesting part of the island is the nomadic lifestyle of the sea-faring Bajau Laut people around the waters of the island. They are known as either 'Pela'uh' or Sea Gypsies, with their homes fringing the shores of Semporna as well as Tawau and Lahad Datu. Meanwhile, the founder and owner of Sipadan Mabul Dive Lodge on Pulau Mabul, who is fondly known as Uncle Chang, said he had set up the resort to support the government's efforts to establish Semporna, particularly Pulau Mabul, as the leading tourist destination in Sabah. The cost of accommodation at the lodge, which is clean and well kept, is reasonable, he said, adding that it is well-equipped with other facilities, including boats for transportation. "My team and I are committed to protecting the environment and promoting sustainable ecotourism. This means running a diving lodge that uses minimal resources and has minimal impact on the environment," Uncle Chang added. There are also experienced dive masters at the resort who provide various services. Close to 1,000 to 3,000 visitors, especially scuba divers and nature lovers, visit the resort every month to enjoy the underwater beauty and the marine life around the area and nearby islands. He is also planning to start a programme around the end of this year, which focuses on cleaning up the area starting from the jetty at Semporna to nearby villages in Pulau Mabul, Kapalai and Sipadan. "Those who will assist in the programme will get free transport and accommodation," said Uncle Chang, a nature lover himself. Following the invasion of Sabah by Sulu militants from southern Philippines earlier this year, tourism operators in the state view the initiative to set up the Eastern Sabah Security Command (ESSCOM) as an important element for the success of tourism in the east coast of Sabah. The ESSCOM, which covers 1,400km of the east coast of Sabah, including the Semporna district, will include the set up of a police station in Pulau Mabul. There are several security measures that the government has put in place to ensure that tourist spots in the east coast of Sabah continue to be safe destinations for tourists. In addition, the Sabah Ministry of Tourism, Culture and Environment is also actively coming up with programmes to promote products and tourist attractions unique to the Sabah East Coast to increase the number of people visiting the place. Meanwhile, Assistant Minister Datuk Pang Yuk Ming, who officiated the World Turtle Day 2013 celebration on Pulau Mabul recently, said the turtle conservation programmes help to attract tourists to Semporna, Tawau, Kunak and Lahad Datu. Pang, who commended the public's efforts to protect turtles, added that scuba divers from all over the world have been choosing the islands of Sabah, particularly Pulau Sipadan and Pulau Mabul, as their favourite recreational destinations.